There was no shortage of great choices to choose from for Wednesday evening’s Playoff Performer of the Night, from Tyler Johnson to Braden Holtby (both of who were past PPOTN stars), but a two-goal effort from Andre Burakovsky earned the nod. Playing at home in Washington with the chance to take a 3-1 series lead against the New York Rangers, 20-year-old Burakovsky was at the top of his game in a 2-1 Capitals’ win. It was perfect timing for the young forward to come forward with a memorable effort, as Washington now heads to Madison Square Garden with the opportunity to move on to the Eastern Conference Finals. STAT PACK: Burakovsky made the most of his 11:51 of ice time, taking five shots in 20 shifts. NEED TO KNOW: Burakovsky’s father, Robert, played 27 seasons of professional hockey, including 23 NHL games as a member of the Ottawa Senators in 1993-94. He is the current head coach for Malmo in Sweden's U16 league. AN ERIE FEELING: After signing a three-year contract with the Capitals in September of 2013, Burakovsky joined the Ontario Hockey League’s Erie Otters for the 2013-14 campaign. In 57 regular season games, he had 41 goals and 87 points. In 14 playoff contests, the winger had 10 goals and 13 points. HERE AND THERE: Burakovsky was born in Klagenfurt (the same hometown of former NHLer Thomas Pock), Austria, but grew up in Malmo, Sweden, the third largest city in the country. IT’S A FIRST: Burakovsky made his NHL debut a special one, netting his first NHL goal in a game against the Montreal Canadiens, on October 9, 2014. SILVER LINING: Burakovsky won a silver medal with Sweden at the 2014 World Junior Championships. He scored three goals and had seven points in seven games. HONOURABLE MENTIONS: Tyler Johnson (1G) scored the game-winning tally with 1.1 seconds left in the third to lift the Lightning to a 2-1 win over the Canadiens and a 3-0 lead in their series. 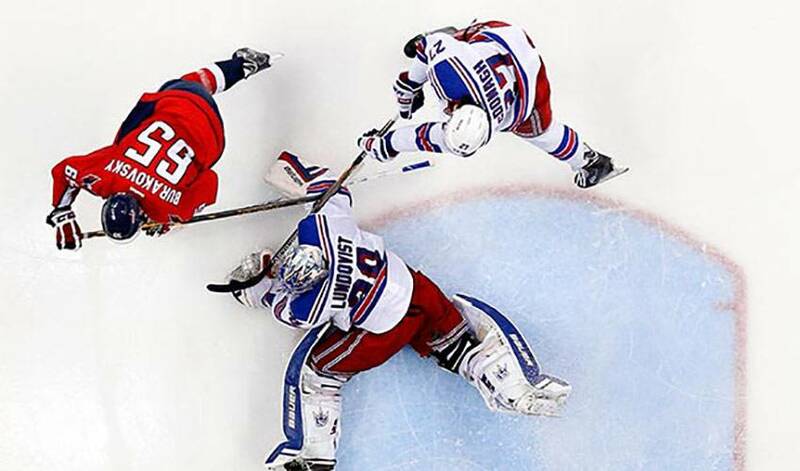 Braden Holtby (28 saves) made several big stops in victory, including a glove grab on a penalty shot. Alex Killorn scored a goal for Tampa Bay. Derick Brassard (1G) notched his fifth goal of the post-season.